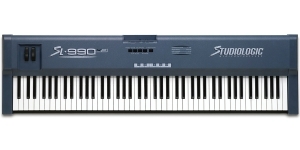 Studiologic SL 990 XP is a more advanced version of SL 990. 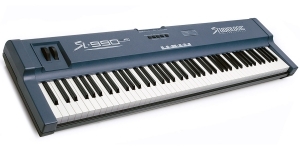 The "Grand Touch Action" was added to SL 990 XP technology architecture, which means that the lower notes are heavier than the higher ones, the imitation of a real piano. In addition, XP version has a preset memory. The device is suitable for both beginners and professionals who want an easy-to-use controller with no quality sacrifice. 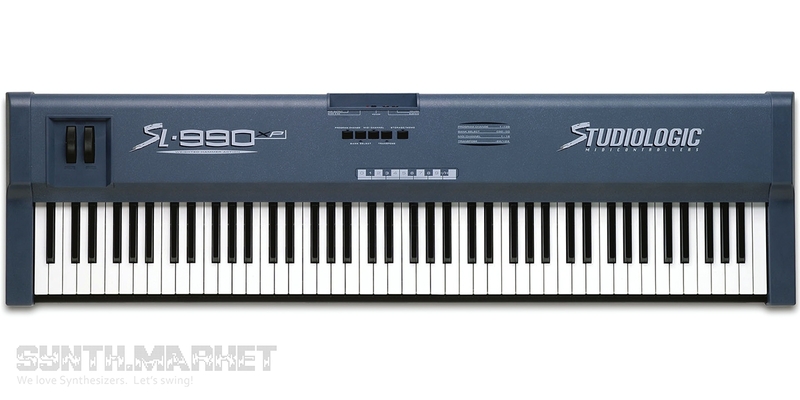 SL 990 Pro features a full-size 88-note keyboard with TP40GH keybed, with graded hammers that create a feel of playing an authentic piano. The instrument offers full functionality, allowing you to control audio equipment via MIDI: synthesizers, samplers, and sound modules or virtual tone generators used in most studios in a computer system environment. On the left side of SL 990 there are the modulation wheel and the pitch wheel. The rear panel features 1 MIDI OUT, a connector for the sustain pedal, and a port for 9V power supply.